पहले यह कार्यालय कुएँ और बोरवेल पर निर्भर था। पर वह कुआँ गर्मियों में सूख जाता था और बोरवेल से भी काफी कम पानी निकलता था। दो साल पहले तक इस जिले में रेनवाटर हार्वेस्टिंग को लेकर कोई भी उत्सुक नहीं था पर आज यहाँ के कर्मचारियों का इस पर इतना भरोसा कायम हो गया है कि वे अक्सर पूछते हैं कि इसे उनके घर पर लगवाने के लिये कोई स्कीम है क्या! 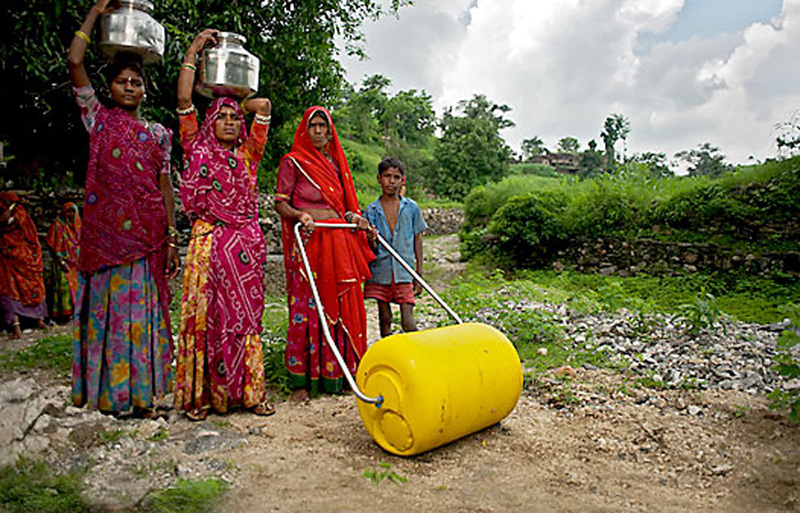 Due to increasing population, continuous deforestation, diminishing rainfall the average ground water table is continually showing a declining trend.This is more prominent in the urban conglomerates, whereas declining trend has also been seen in the rural area also.The southern belt and part of Rajasthan are the worst affected by the shortage of water, but now for the last one decade, it has been noticed that even the alluvial plain of Ganga _Yamuna is suffering by the lowering trend of Groundwater table. 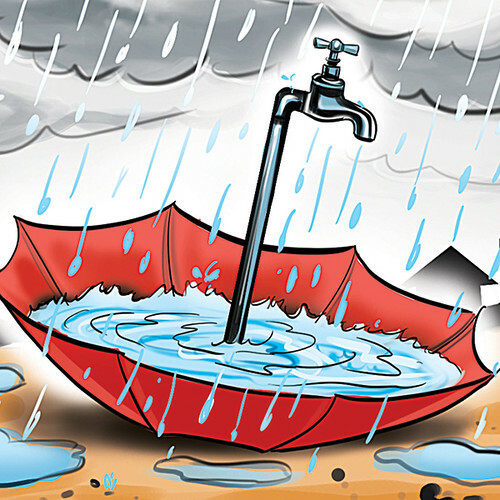 The ultimate solution to fight with this problem is only to save and conserve every drop of rain water by using various recharge techniques, it may be RWH,check dams,drip irrigation,making tanks or ponds or any other.But RWH is the method which can be safely be applied to every part of the country.In applying RWH technique, the most important is the maintenance of the structure.As per recent guidelines of the Ministry of Water Resources ,it has been made mandatory to install RWH structure on every Government building and on every private House having an area more than 200Sq.Mt. But unfortunately, the maintenance is very poor causing a danger of Groundwater pollution.The heaps of garbages can be seen around RWH structures and no cleaning of roofs before the onset of rainy season.The private parties who are installing these structures do not know about this danger.Even the use of pesticides in the fields is also showing a trend of increasing Groundwater pollution. Increasing use of grey water or recycled water can also lead to saving our sweet water for all living being.